Last week, we talked about the most expensive chocolates in the world and way back we had the pleasure of sharing with you the most expensive paintings ever sold. Now, if you think some of their prices are totally unbelievable then wait till you see how much these most expensive toys ever sold costs. Designed by the famous jewelry designer Stefano Canturi, the Diamond Barbie is the world record holder for the most expensive Barbie ever sold. It was auctioned at Christie’s and was sold for a whopping $302,000. Yes, wow! That cost more than my house and car combined. Anyway, this just the starter, read on to see the other most expensive toys that made our list. I remember when I was younger, I also used to have a rocking horse but it was made of wood and painted a shiny red and I always play with it. 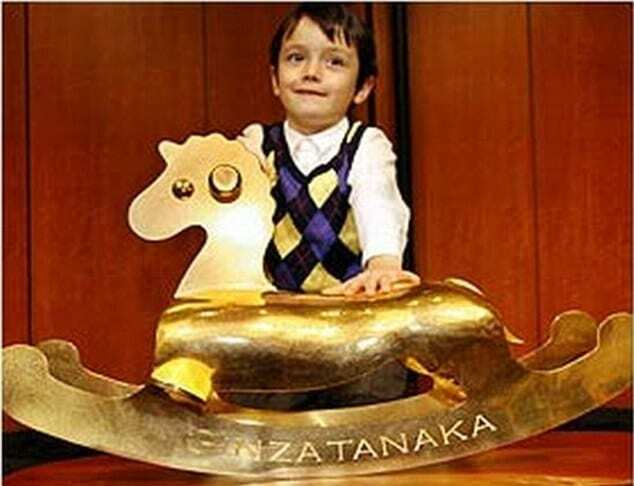 Imagine my reaction when I saw this solid gold rocking horse that apparently cost the royal couple Jay-Z and Beyonce $600,000. Ain’t Baby Blue the lucky one? A regular Rubiks Cube can be purchased from Amazon for as low as $2.95, probably cost lower on your local toy store. 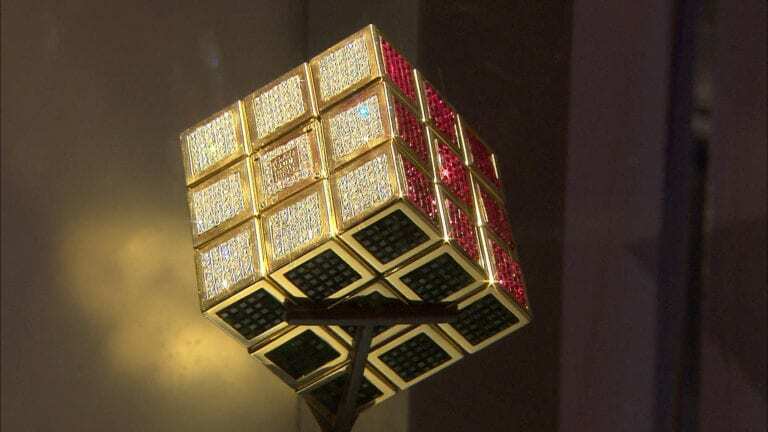 So how expensive a high-end Rubiks cube can cost? A grand or two? Well, guess again, for there’s one that was made of gold, emerald, amethysts, and rubies and was priced at $1.5M. It was made to commemorate Rubiks Cube’s 15th founding anniversary. I have reason to believe that Monopoly is a universal game, it has been published in several different languages and in different edition/ version. My sister even bought (by mistake) a Spanish monopoly and has been constantly teased by my daughters about it. 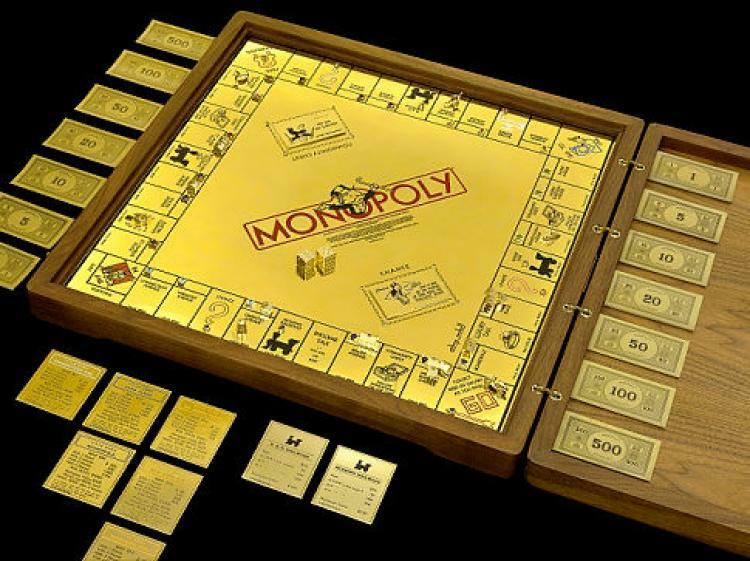 Anyway, before I completely transported back to memory lane, what Id really like to tell you about is this 18 karat gold Monopoly board that was sold for $2M dollars. I wouldn’t be surprised if they soon come up with a game version that requires real money wherein you can purchase real properties. Established in 1880, Steiff Germany is the oldest and the only existing manufacturer of high-end teddy bears. They pride themselves on the high-quality material and workmanship of their products. 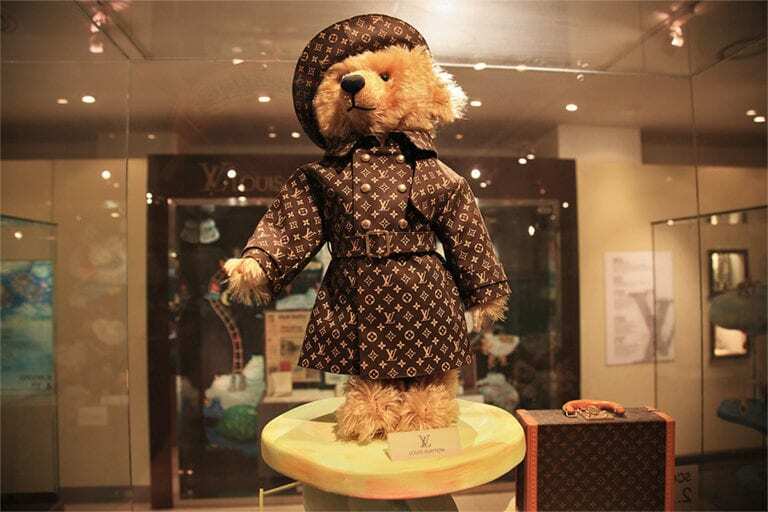 In 2000, Steiff has collaborated with the world-famous brand in fashion Louis Vuitton and created the most expensive teddy bear ever sold. So this next toy on our list, I don’t think you’d like to play with. I know I wouldn’t. 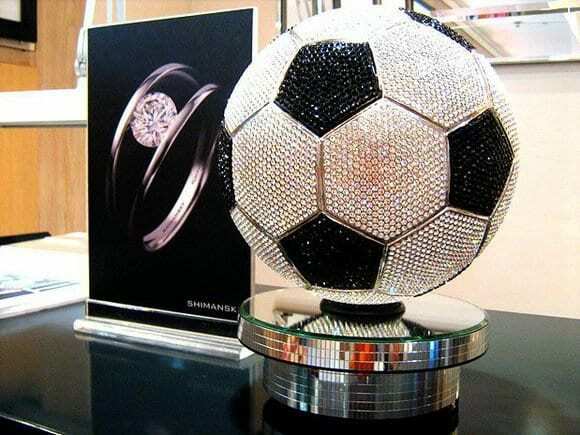 It is a $2.59 million US dollar worth soccer ball. Very expensive because it’s diamond studded. I don’t believe anyone would have the guts to kick it around and risk losing one of its gems in their backyard. $4.6 million dollars for a Lamborghini, hmmm seems about right. But once you learn that what we’re talking about is a car that can sit on your desktop, then that’s a different situation eh? 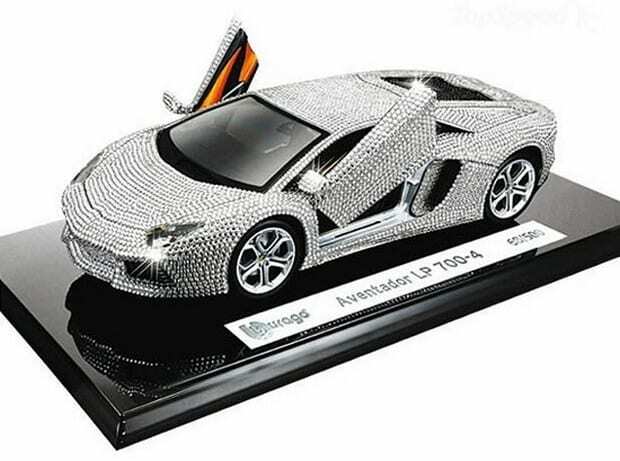 Take a look at this Lamborghini Aventador Model Car that is Swarovski studded for this is exactly the Lamborghini that cost $4.6 M! And if you think you’ve seen them all, take a closer look at these top 3 most expensive toys ever sold. What would you buy for $5 million dollars? A house? A car? Are you going to start a business? You can do all those or you can buy a doll. Yes, a doll named Madame Alexander Eloise costs just that. Speechless. 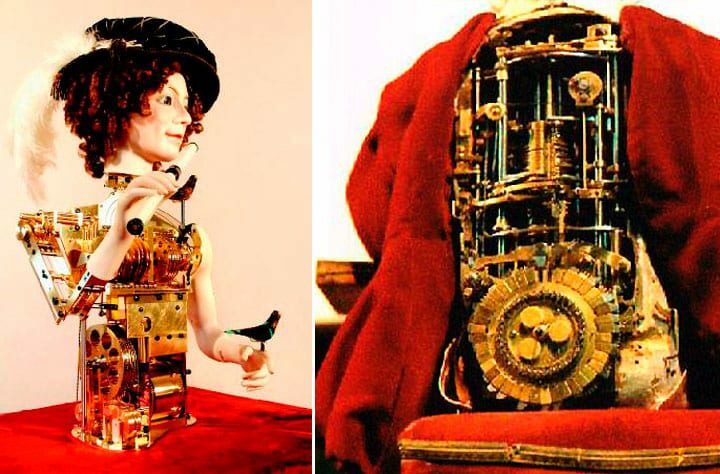 L’Oiseleur which translates as bird trainer is 4ft tall automaton (moving doll) created by a French automata expert. It is priced at $6,250,000. 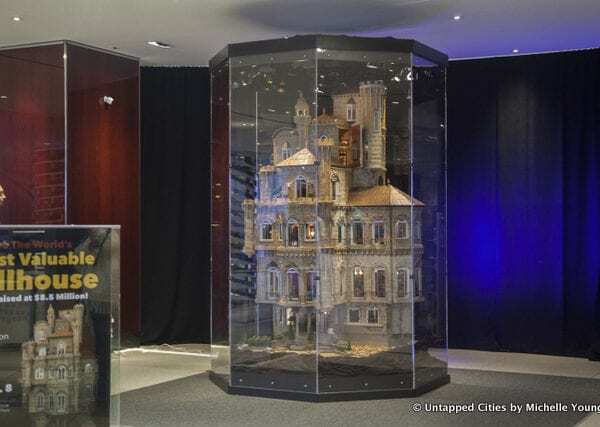 The Astolat Dollhouse Castle is officially the most expensive dollhouse in the world with a price tag of $8.5 million dollars. It is said to be so expensive due to its structure itself that boasts of the finest engineering, architecture, sculpting and just generally creativeness. Toys. They are not just for kids but also for the kids at heart. Some want toys that they can really use and play with while some want toys for their collection. Either way, toys sole purpose (I believe) is to bring joy to everyone. Do you think there’s a difference though? Does the happiness a toy can bring depend on how much it cost? Well, to each his own and happiness shouldn’t come with the figures is my personal belief.